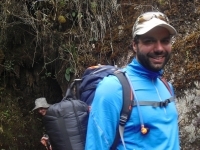 Get acclimatized for the hike. 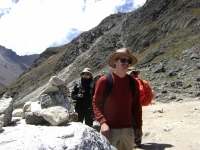 It is a much easier hike at the higher elevation and much more enjoyable doing the Salkantay tour. The food is spectacular , from the chef in the make shift kitchen by the tents. The scenery is a must to see. So many different changes in landscapes throughout the hikes. 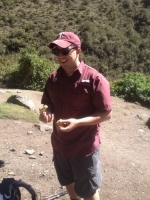 Our tour of Machu Pichu was an amazing experience. The first night was awe-inspiring. In a valley illuminated by the moon surrounded by touring peaks, we got an appreciation of what we could look forward to. Reaching the summit and then descending into the cloud forest gave spectacular vistas. 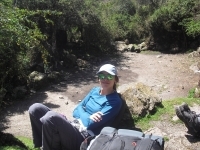 The trek was a lot of fun, interesting and very comfortable overall. Juan Carlos was an excellent guide. He was very knowledgeable and took care of everyone. 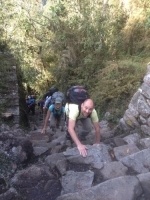 We had a really great time on our 4 day Inca Trail adventure organized by Inca Trail Reservations. 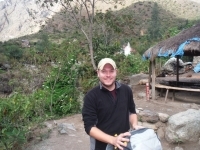 The trail was gorgeous and Machu Picchu itself was a blast. It was however a really intensive workout. We hiked on average 7 hours a day but the beautiful scenic views compensated for every bit of sweat. 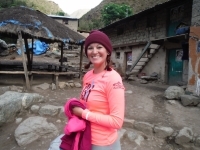 The Inca Trail is a beautiful trek, the scenery is spectacular and add to the feeling that you are somewhere sacred and special, culminating in the stunning and very interesting Machu Picchu. I had an amazing time with my 'familia'. 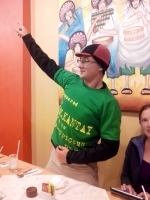 Traveling the Inca Trail as a group was a great experience. It was great getting to know people from different places who wanted to share the same experience. The information from our guide Carlos was great, knowledge about the Inca life was very interesting throughout the hike and through Machu Picchu tour. This was the best experience that I have had traveling out of the USA. I never expected to be challenged on this level ! Every moment I turned around there was a beautiful thing to see. I would definitely come back and do this trek again. Be sure you are up for a challenge ! 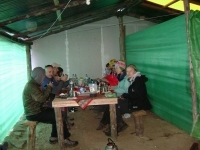 The food on the camping was really good. The views of the nature are amazing and it change every day. 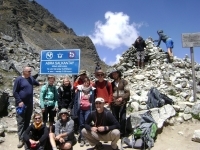 The guides are very supported and it keeps the spirit in the group. 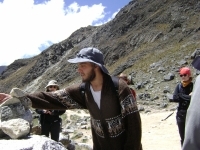 For who likes to do adventures, Salkantay trek is the perfect activity for them. 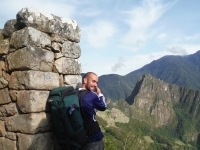 Not only do you visit Machu Picchu but you also hike for five days wonderful routes in the mountains and jungle. The material was alright and the food was also very good. Perfect for hiking. I had an awesome time. Paul is an excellent guide. I don't know if there is any way to request him. The weather was perfect (though that was just luck, I suppose). 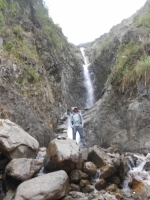 The trekking was tough, but I did better than I thought I could. The scenery was better than could be captured in pictures.